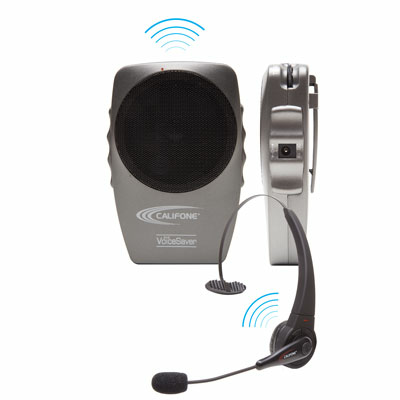 Perfect for leading groups of up to 20 people, the Bluetooth VoiceSaver is for tour groups, presentations, athletic & dance classes. It’s ideal support for those needing either a vocal assist or increased projection. The lightweight wireless headset for the VoiceSaver enables hands-free convenience and operability from up to 20’ away from the receiver. Its rechargeable battery will function for up to six hours on a single charge and refreshes in four hours. Optional wired mic sold separately.